The ECPR’s Graduate Student Network (GSN) Committee is a Board of four to six Graduate Students from ECPR Full-Member institutions. The GSN Committee is responsible for the day-to-day running of the Network as well as the formulation of long-term strategic development. 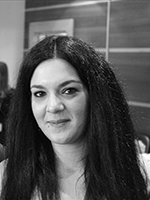 Stavroula Chrona is a PhD Candidate and Graduate Teaching Assistant at the Department of Politics, University of Surrey (UK). She has holds an MA in International and European Politics from the University of Surrey (UK) and a BA in History from the University of Crete (Greece). In the past, she has held the position of (PT) Lecturer in Quantitative Research Methods at the School of Social Sciences (SOCSI), Cardiff University (UK). 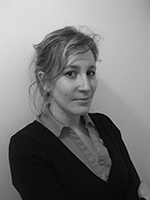 Stavroula is a specialist in political psychology, electoral behaviour and public opinion. Currently she investigates the cognitive, affective and motivational processes of public political behaviour. In particular, she examines the role of ideological inclinations, political sophistication, affect and emotion in the processes of information-processing, decision making and motivated reasoning. She is also working on the areas of radicalisation, media framing of the eurocrisis, and the use of social media as a tool for political participation. She has extensive experience in teaching introductory and advanced courses on research methods (both qualitative and quantitative) in Political and Social Sciences. She has also taught courses on social policy analysis and ethnic relations. Stavroula has been the Administrative Assistant of the International Society of Political Psychology Summer Academy (ISPP-SA) since 2011. 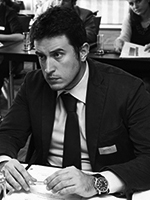 Luca Di Donato is a PhD Candidate at the Luiss Guido Carli University. For the last 3 years he has been working on a thesis that articulates developments on Law and Business. In the past, he has been an advisor for the Italian Ministry of Economy and Finance. Overall, he has a political science background, having studied in various universities in Italy. He holds an MA in Parliament and Public Policy issued from the same university. His academic CV is more enriched, after earning an MA Global Regulation of Markets from the prestigious La Sapienza University. He accomplished his BA studies in Political Science from Luiss University.He has not only participated in numerous schools, workshops and conferences in the areas of Public and Comparative Law, but has also published his work.In 2011, he started teaching academic courses on Impact Assessment and Fiscal Federalism. Moreover, he is giving a strong contribution to the Centre of Research on Public Administration “Vittorio Bachalet” as a research assistant. In addition, he is an active member of numerous research groups and networks such as: the Research Group on Corruption and Control; the editorial board of the Competition an Market Review. Winning the call for paper proposals of the ECPR Standing Group on Regulatory Governance are top of his recent achievements, after submitting two articles on: RIA and Behavioral Economics and the Impact Assessment Board. His main research and academic interests concern the Regulatory Impact Assessment (RIA), the Regulatory Oversight Bodies (ROBs) and behavioral research. Rosa M. Navarrete holds a Bachelor’s Degree in History from the Universidad Complutense de Madrid. In 2010 she received a Master’s Degree in Democracy and Government from the Universidad Autonoma de Madrid. Currently she is a PhD student at the Graduate School of Economic and Social Sciences (GESS) of the University of Mannheim.Rosa gained research experience while working as a researcher in Political Science at the Universidad Autonoma de Madrid and due to a competitive scholarship from the Spanish Ministry of Education. She has been a visiting student at the University of Essex.She has worked as a researcher for the project “Los efectos de la crisis económica para la democracia española: legitimidad, satisfacción y desafección” funded by the Spanish Centre for Sociological Research (www.cis.es). She is also a member of the COST Action The True European Voter preparing.Her research interests are left-right ideology, its impact on voting behavior and its relationship with attitudes towards democracy in Europe. If you are interested in joining the ECPR Graduate Student Network or have any questions, please email gsn@ecpr.eu.